NEW timetables have come into operation, but some passengers have been complaining that the launch was less than seamless, with many cancellations reported. Govia Thameslink services have been disrupted, with one passenger tweeting that successive services to Stevenage were cancelled yesterday. Northern, too, is under pressure over its performance following a series of RMT strikes, and there are increasingly strident calls for the Arriva franchise to be terminated. 19 MPs in the north east have signed a House of Commons Early Day Motion which calls on the government to ‘launch an urgent inquiry into the crisis at Northern Rail and give consideration to stripping Arriva of the Northern franchise and placing the service in public ownership’. Govia Thameslink Railway had warned that its new timetables, which involve every train being retimed, would take a little while to bed in. Matters were made worse yesterday by the failure of a southbound train in the new tunnel which connects the East Coast Main Line with the Thameslink route just north of St Pancras International. Northern has also introduced new timings, some of which are the result of the opening of the new Ordsall Chord across central Manchester. This allows trains to travel directly between Victoria and Piccadilly for the first time and was opened in December, but this month’s timetables are the first to take full advantage of it. 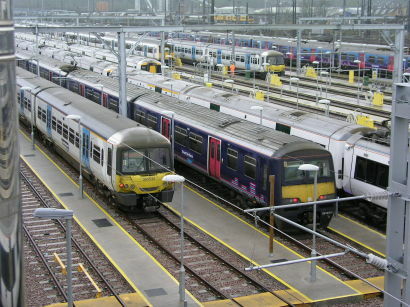 Delays in publishing the new timetables as the changeover date approached have been described as ‘not acceptable’ by the Office of Rail and Road, while watchdog Transport Focus called a special meeting of its board on 15 May to question senior industry representatives about the disruptive effect of engineering work. The ORR has written to all operators ‘requiring urgent improvements to how they keep passengers informed of timetable changes’.